I was selected to receive a sample of the new Seventh Generation Coconut Care moisture lotion AND Free & Clear diapers with new unbleached cotton quilted liner, for free as part of the Generation Good community. We are big seventh generation fans, especially since Miss Lindie arrived. She had such crazy sensitive skin! 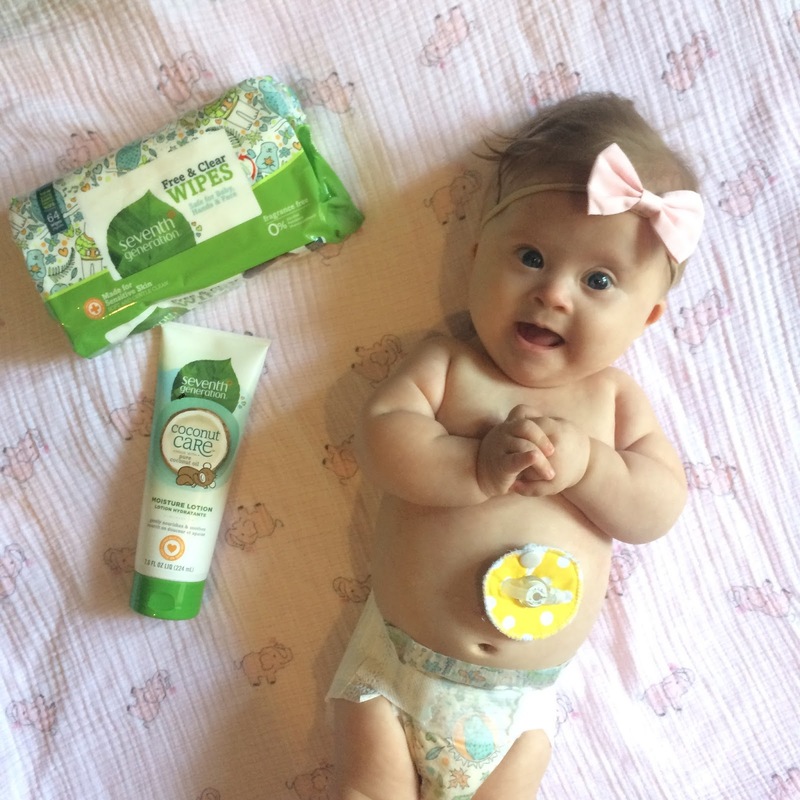 Seven generation is the only brand that doesn’t make her break out in a rash. We 💛 them! Check out the new cute diaper prints! Not so easy to see with the - tape! And, yes, the liners do look good.